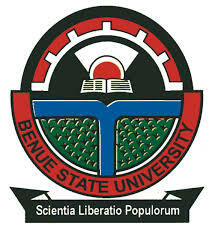 Benue State University, Makurdi, BSU Post-UTME Screening Date, Cut-Off Mark, Eligibility And Registration Details for 2018/2019 academic session has been Announced! See below on how to apply. We are using this platform to inform all the candidates who chose Benue State University, in the 2018 University Tertiary Matriculation Examination (UTME) that the school management has announced the registration guidelines for the post utme screening test. The BSU Post UTME screening Exercise has been scheduled to commence on the 14th of September to 24th September, 2018. The CBT Centre has 150 systems, while the Directorate of ICT has 50 systems, thus each batch has 200 candidates. NOTE: All candidates who applied for Law but scored between 180 and 199 are to take their PUTME in Faculty of Arts, while candidates who applied for Medicine and Surgery but scored between 180 and 199 are to take their PUTME along with Anatomy, Physiology and Faculty of Science. You can also access the registration guidelines on the school portal here. According to the management, the screening date shall be communicated after registration. The cutoff mark for last session was 180 and above. I don’t think it will be different from this year.